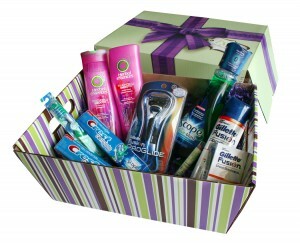 Join Me TONITE 4 #PGTryItRSVP Twitter Party 9 pmEST, P&G Prizes! Monday night I had a fab time with 5 of my girlfriends. Sponsored by P&G as a part of their Have You Tried This Yet? campaign, we took a cooking class in downtown Philadelphia. we rode in style – we had so much fun! From riding downtown in a limo to learning how to make shrimp avocado crustinis, the evening was full of laughter and great memories! For the social media side of things, I’ll be hosting a Twitter party tonight at 9 pm EST! I have 10 boxes full of P&G goodies – the same box of goodies that my girlfriends took home from the party the other night! This picture is the box and all the goodies 10 winners will receive! Follow me @WhitneyMWS and join in to enter to win a box for yourself! Where: Twitter, 9 pm EST, using hashtag #PGTryItRSVP. How: Use the hashtag or use TweetGrid. To make it easy peasy, I’ve created this TweetGrid you can feel free to use! Just use the login to log into your Twitter and enter yourself/your Twitter name in the right hand column to see your own replies. What: 10 winners will receive the box pictured – all of the questions and chat will be fun lifestyle/girls night out questions! It’ll be a great party – hope to see you there!